Troy Dunn is a really cool guy. Everyone that meets him likes him. That’s how he’s able to bring people together and find lost loved ones like nobody’s business. 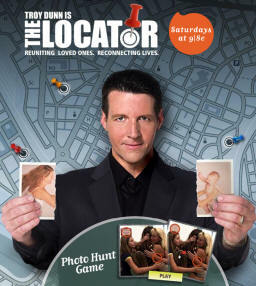 Troy had the successful TV show called “The Locator” where he finds lost loved one (like your real mother you haven’t seen since you were born). He has been on countless shows bringing people together including Dr. Phil & Jerry Springer just to name a couple. Troy is the father of 8 children and a beautiful wife.